Men wrote most of these prostate surgery patient stories. Now Katherine, Jack's wife, follows his tortuous path from prostate cancer screenings to rising prostate PSA tests and a nodule, one of the earlier signs of prostate cancer, to numerous doctor consultations, to discovery of the latest treatments on prostate cancer: laparoscopic surgery with Dr. Krongrad. At first, I think he thought if we didn't talk about it, it would go away. Jack is a banker by profession and divides his time among three banks in three different towns in Western Oklahoma. Bankers learn early that banking business is private and not to be discussed with anyone but those directly involved, so in our 43 years together we have talked about home, children, vacations-everything but business. Last September, prostate cancer became serious business to both of us and I started doing most of the talking and the research until Jack felt ready to do his own research about prostate cancer treatments. I was a one-woman prostate cancer support group. For three years a local church has offered prostate cancer screenings to anyone in town who wished to participate. We take advantage of the offer because neither of us get sick or go to the doctor often. Other than high cholesterol, we both passed with good reports. 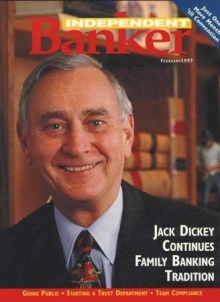 In 1999, one of Jack's prostate PSA tests was 2.95; in 2000 it was 3.70. No-one said a word to us. In October 2001, his PSA was 4.4. Then our family doctor suggested Jack take a round of antibiotics to see if he was having prostate infections. The PSA dropped to 3.67, but in August 2002 had gone to 4.32 and our doctor recommended Jack see Dr. One, a urologist in Oklahoma City. Dr. One felt a nodule, which is one of the earlier signs of prostate cancer, and made an appointment for a prostate biopsy that came back positive for cancer. The pathologist judged the Gleason score as a well-differentiated 4. A cystoscopy and renal ultrasound were negative. Dr. One recommended retropubic open prostate surgery-and since Jack was a smoker an appointment with a pulmonary consult was scheduled. External beam radiation treatment was mentioned if Jack had significant lung disease; hormone therapy or observation as other options in the case of lung problems. So on to the lung man, Dr. Two. Thank goodness, no problem with lungs-just one more rather annoying doctor's visit with the "please take a number and sit and wait until your number is called." We got used to voice machines and take-a-number-and sit-down visits before we finally found our answer in Miami. Next, a second opinion. Dr. Three, highly recommended, was also a urologist and surgeon. At his office we realized that even if you go to a urologist for a "consultation" you will not be allowed to see the doctor until you present him with a urine specimen. Never mind that you only want to talk to the man, you will pee in the cup first. I was sure at that office I probably wouldn't be able to talk to him if I didn't pee first, but I got by. Dr. Three was a nice person who was only interested in surgery. He told us he trained at MD Anderson and had watched them "burn" guys to death with radiation therapy. (That was in response to our questions about prostate brachytherapy or external beam.) That was the day we realized if you go see a surgeon, he is eager to cut and when you visit the radiation oncologist, he thinks the only way to go is radiation. It sounds simple, but it took us a while to figure it out. So, we visited Dr Four, who is a urologist interested in prostate brachytherapy and he was happy to send us to visit Dr.Five, the radiation oncologist, who works with Dr. Four. Naturally, Jack had to pee for the little receptionist before we were allowed to talk to the Dr. about any procedure. By this time, we were slightly amused at their protocol. We were curious about what these people do with that pee at the end of the consultation. These appointments take time and money and we were feeling pressured by then to make a decision. I say "we" but it was really Jack's decision and he opted for brachtherapy. He called Dr. Four who was so eager to give him a shot of Lupron (hormone therapy for four months) and schedule him for the procedure. It was a "done deal." By the way, he charged $3,800 for that Lupron shot. I recently found it on the Internet for $2,000. And I can buy it from our local pharmacy for $2,200. When we visited Dr. Five, the radiation oncologist, he didn't make us feel any better about prostate brachtherapy. But we had committed and in early December Jack went to Dr. Four for the Lupron. Dr. Four neglected to tell us many things about Lupron. He did say, "You may have a few hot flashes." He didn't mention loss of memory, weight gain, fatigue, depression, breast enlargement, complete loss of sexual interest and impotency. Maybe we should have known, but how? At that point I had not discovered the Internet and the wealth of information available to anyone with the time and tenacity to go after it. Soon I found that five or six hours a day at the computer flew by when I sat down to read about this monster cancer. After the Lupron shot in December, Dr. Four and Dr. Five made an appointment to meet us at the hospital in March for the "mapping session" to determine how many radioactive seeds would be implanted in his prostate. The more I read, the more I realized that the success of the procedure depends to a huge degree on the skill of the physician performing the procedure. The same is true of prostate cancer surgery. Since we received vague answers to questions about the numbers of men treated and their incontinence, impotence, and lasting after effects, the four-month wait required by the Lupron provided time to search for more answers. Six days before Jack was to enter the hospital in OKC, we cancelled the appointment and called MD Anderson for yet another consultation. We drove to Houston, met with Dr. Six who had just been hired three months prior to do laparoscopic radical prostatectomy at MDA. We had never heard or read about the procedure, and frankly, were not interested. Dr. Six was a nice person to visit with, but he had only performed twelve surgeries and Jack wasn't about to be number thirteen. Someone had to be, but not Jack. So, we talked to Dr. Seven about prostate brachytherapy, which was the reason we went to MDA in the first place. Dr. Seven changed our lives. He spent two hours with us, without once asking Jack to pee. He told us everything we wanted to know about brachytherapy, but said he would not proceed with Jack until he screened him more thoroughly because Jack previously had some colon problems and Dr. Seven could not tell whether radiation would complicate them. We had already worried about radiation proctitis and hearing Dr. Seven express concern let us know we made the right decision to go to MDA and learn that radiation seeds were not for Jack. We came home and started over. However, this time we knew about a new therapy no one had ever mentioned to us because doctors in Oklahoma don't perform laparoscopic radical prostatectomy. So they didn't tell us about a way to avoid risking blood loss. They didn't mention that with laparoscopic surgery the area is easier to see because it isn't so bloody; a camera inserted in a small incision magnifies the area ten times. No one said, "I know of a procedure that allows you to leave the hospital the next morning after surgery and never take a pain pill stronger than Tylenol." Some men don't even take Tylenol. Why did we have to go to MDA to even hear about laparoscopic radical prostatectomy? Thank you, Dr. Seven. And thank you for your follow-up call to be sure we had not been lost in the cracks. When we returned home from MD Anderson, I sat down at the computer, typed laparoscopic radical prostatectomy into a search and seconds later Dr. Krongrad popped up and the rest is history. We emailed Dr. Krongrad and within the hour he answered us. In the morning we called his office and Ruth helped us with all the details of medical records and lodging. After six months of restless sleep, or no sleep, wondering what to do, we both slept soundly because we knew Jack had found the answer. We flew to Florida Thursday, April 17, for an appointment with Dr. Krongrad on Friday. He had an emergency and was not in the office, but Ruth told us he would be glad to come to the office Saturday morning and meet with us. Who knows a doctor who will give up his weekend for his patients? When we got to the office on Saturday, two other men were also waiting to see him and we struck up a conversation. Joe Letts and his wife, from Michigan, shared with us their experience with Dr. Krongrad and they both were so happy with the surgery and told us what to expect. They told us where they were staying and how nice it was and we left the doctor's office and immediately moved to that hotel. It was perfect for our needs. Thanks, Letts. You helped us in many ways. Al Perkins and his sister, from Texas, were also in the waiting room that morning and shared other valuable information. Not the kinds of things a doctor would even think to say. Thanks, Perkins. Dr. Krongrad joined the "veterans" and us in the waiting room and visited with all of us for another half hour of discussion and stories. It helped us so much to hear from the others and to feel like we belonged and would do well, too. Thanks, Dr. Krongrad and Ruth for your time that morning. We all know you had better things to do, and we'll never forget your kindness. We checked in the hospital at 9:00 a.m. Monday; about 11:00 he went to pre-op. I stayed with him until the surgery at 12:45. Doctor K. came out at 2:45 p.m. to tell me everything went well. Jack was in recovery by 3:15 and because they were busy in recovery, he didn't get back to his room until 6:00 p.m. By then, he was awake and complaining of the gas pains. The only pain medication Jack took was over-the-counter Tylenol Extra Strength tablets. Monday night was very uncomfortable, but Dr. Krongrad came by to visit him about 10:00 p.m.and helped him walk down the hall. Later that night and early morning Jack and I roamed the hallways twice. Our nurse was wonderful - kind, funny, willing to help us with everything. Whatever they pay her, it's not enough. Tuesday morning, Dr. Krongrad was back at 7:00 a.m., removed the J.P. drain and said we could leave the hospital. Our son, Phillip picked us up at nine and we drove to the hotel. Jack rested and Phillip and I drove to the airport to pick up our other son, Jack, Jr. who was flying down to stay the rest of the week. Tuesday evening Jack and I walked around the block outside the hotel. When we got back to the room, he was experiencing a lot of gas pain and felt like he could not lie down. Dr. Krongrad called about 9:30 p.m. to see about Jack. Dr. K. talked him into lying down. When he did finally get down, he passed some of the gas and immediately felt much better. Who knew passing gas could be so therapeutic? Wednesday morning Jack, Jr. and I planned to drive Phillip back to the airport and Jack said he felt good enough to ride with us. He rode to the airport, and then sat in the car at the shopping center while Jack, Jr. and I shopped a bit. We all went out to lunch together. Thursday, we returned to the Doctor's office and Dr. Krongrad told us Jack had a good pathology report. Thursday afternoon we shopped, then rested an hour before we drove down the coast for a good dinner on the terrace of a nice restaurant we had discovered earlier. Friday was return-to-Oklahoma day, so we had a long tiring day going through airport security and all that goes with flying. But Jack arrived home in good shape and was very thankful this was behind him. Own bed felt so good. Saturday morning, he went to the bank and read his mail and organized work for Monday. Sunday we stayed home and smiled a lot because it was all over and we couldn't wait to see the faces of people at the banks when Jack showed up the next day. They all thought he would be home recovering for weeks. Monday morning, one week out from a radical prostatectomy, he returned to work for most of the day. His stomach was quite tender, but the most bothersome part was the catheter that remains in place for ten days. A bag fits on the side of the leg and is not noticeable to anyone but the man wearing it-and it's quite noticeable to him. He worked Tuesday and Wednesday, but Thursday morning stayed home to pull the catheter out and see what happened next. Because we spent so much time researching prostate cancer and the choice of treatments, we had read every horror story written about catheters and the pain and suffering that goes with removal. It was totally painless; a non-event. Our research lead us to expect some incontinence for at least three months, probably six months or a year-in some cases it never returns. We prepared for that by purchasing pads. Thursday morning after the catheter came out, Jack went to work with a pad on and another one in his pocket just in case. That afternoon when he came home he removed the pad and told me he didn't need it. He has not had any problem with incontinence. I called Dr. Krongrad with that wonderful bit of news and he said Jack was very lucky, in the top five percent, that most men do have some incontinence. A great many people have been praying for Jack's recovery and I think God heard and took care of us by helping us find Dr. Krongrad. We have to think our story is more than just luck. Jack's story is written with the hope that any man or his wife who reads it will know they have another way to beat this terrible cancer. No one deserves to think he must choose radiation or open surgery. When more doctors learn to perform this surgery and invest in the necessary equipment, I believe open surgery will become a thing of the past. Why would anyone choose pain, long recovery, and risk of blood loss with open surgery when they can return to their normal life in a matter of days-almost hours. Many people helped us decide on LRP. We hope this story helps others who have to make a decision. Jack's path from prostate cancer screenings to one of the earlier signs of prostate cancer, to discovery of the latest treatments on prostate cancer.